Addendum: I spoke with Benji Heywood about how often (and at each level) teams play 3, 4, or 5 games in a row, since UK and European tournaments have very different practices and rules. Here's my email response-- Our youth directives are very different. 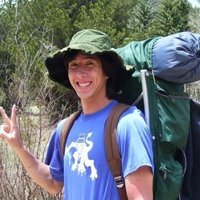 We have much stricter standards for youth events, see: http://www.usaultimate.org/competition/youth_division/guidelines.aspx#Formats . I was involved in drafting those guidelines, and I can help you interpret some of the more oddly-phrased requirements there. 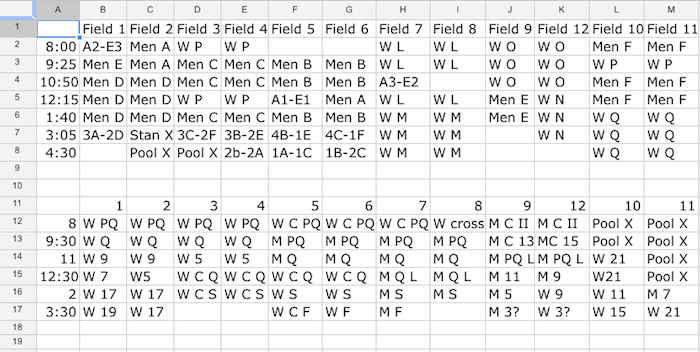 Mens Centex has traditionally been a grueling tournament with 4 pools of 6, 5 games straight (to 13) on Saturday and 3 (to 15) on Sunday. Most tournaments try to avoid 5 games in a day (I advocate a 4 game max per day in my article). Middle to high level college teams take rosters of 20-30 players because tournament play is brutal and exhausting. This is also part of why USAU College Championships have so many upsets - teams with a strong 7-10 players can do much better playing 2 games a day, even against 30-man squads of fit players. 3 in a row is common at any tournament at any level (with the exception of HS championship events). 4 in a row is more of a hardship, and there is usually a bye if teams play 4 games in a day, but some teams get the last round or first round bye, which means 4 in a row. But those teams also prefer the first or last round bye. In 12-team tournaments with two pools of 6 (increasingly common), we usually see four games on Saturday per team, then everyone plays 1st round Sunday and then in 3 4-team brackets, for a total of 7 games. Because travel costs are so great, I think TDs feel pressure to pack in 7-8 games per team per tournament, and on weekends because of school and jobs. That means 3-4 games each day, and when there are 5 or fewer games in a weekend, it's not worth the money to go to that tournament over a tournament that promises 7 games. I added this comment to the body of your article to make it easier to read. Thanks for the additional thoughts on this!